On August 23rd Talking Story will be 5 years old. And you know how I feel about the supreme goodness of the number 5… perhaps these ring a few bells? What’s the skinny on the Daily 5 Minutes? Absolutely, positively, the best workplace tool of them all. The power of questioning: Ask “Why?” Five Times. “Why?” is an Alaka‘i self-leadership question. Tracking 5 things we have learned each and every month opens up even more capacity for us, amazing creatures of abundance and growth that we are. A calendar with a Strong Week Plan is your best friend. Learn 5 New Things About Walking. If you aren’t in good health, well, the rest of this is really a moot point. Walking works wonders for your mindfulness too. So with a 5 year birthday coming up for Talking Story I have been wracking my brain thinking about how to celebrate. I thought about doing a forum or festival, about interviewing some of the good folks in our Ho‘ohana Community, and about having a huge Managing With Aloha book giveaway (MWA will be 5 in November), and I may still do a few of them later. For it then occurred to me that as boring as this will initially sound, I really should celebrate with a in-depth clean-up here, bringing Talking Story to better integrity, so it can dwell in the place of honor it rightly deserves. As of today, Talking Story will no longer live on the coattails of Say Leadership Coaching as www.sayleadershipcoaching/talkingstory. If you are a Talking Story subscriber you need not do a thing: I will be rerouting you to the right place with tech-magic. However do click in so you can see the new site at its web-based home! I have brought back our original Talking Story banner, designed for me by Christopher Bailey. Think about your garage (where the car no longer fits) or that junk drawer which doesn’t close anymore, or that extra deep walk-in closet which you seriously think of as more valuable than the kitchen sometimes. A blog which has reached its 5th year is sort of like the digital equivalent of those things. Just as you’d never show me that walk-in closet of yours, I would never show you the inner workings of Talking Story hidden behind the scenes right now, quite sure I would shrink in embarrassment —and I’m short enough! Yet it works. Talking Story is the true glory of what a “digital Ho‘ohana closet” looks like. And who knows what might be next. Because of Talking Story, I do know there WILL be a next something. So mahalo nui for understanding my seemingly boring decision. I am not going for fancy appearances, but for a totally cleaned house Talking Story can live in going forward, both inside and out, for after all, it serves us so extraordinarily well. If you are meeting her for the first time, Brexy darling is my inner geek. She is currently sitting a bit cross-eyed at the complete revamping I did with our Talking Story categories, and she is trying to put the right posts in the right place… she will be there for a while, and we thank you for your patience as the entire digital closet gets cleaned up. It will likely take several months. To those who have linked to Talking Story over the years, I am so so sorry, but there will be broken links when I close the old site down in a month or so. I will probably sink my Technorati ranking like a lead balloon with this change, and I need to start praying to the Google gods, but hey, still a young one at 5, right? Ho‘ohiki e ho‘omau: I promise I will make it up to you! We will only get better from here, from there is so much learning still ahead of us. Now if you’re still reading this via RSS or email, click into TalkingStory.org and have a look: The old girl has a new lease on life, and she still delivers there, hard at work at her Ho‘ohana. A high 5 from Winnipeg (Winnipeg almost sounds like it could be in Hawaii, in Jan to March I wish it was). I love the new design work you have done. I find so many parallel paths with you Rosa. I am in the midst of changing my website for September/October. I am pleased I have been with WordPress for a couple of years and the design should go relatively smoothly. I like your new home and like everywhere you are on the Internet I feel at home with your work and expressions. Thank you Ikaika! Now how did I just know you’d likely be the first one to comment for me on the new Talking Story, hmm? Being on parallel paths with you is such an honor and always a joy. Congratulations on five and the new site! I look forward to seeing how you fill the new space you’ve got here. Mahalo nui Rich, I have so enjoyed getting to know you during this time: Thank you for taking the journey with me, and continuing to do so. You know how much I admire you and learn from you. Congratulations on your upcoming 5th anniversary! Love the look of the new site. 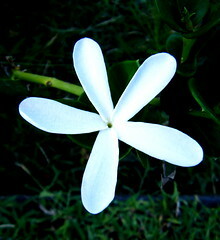 It was as if a fresh Hawaiian breeze, lightly scented with plumeria, blew through my office this morning. Thanks, as always, for the connection. Hi Julie! And in commenting you have shared your brave and bracing Colorado breeze so I may again be sure I am keeping connected with you :-) It is Sunday as we both write these words, so I do hope you are talking about your home office” enjoy the weekend and mahalo plenty for this gift in letting me know you are here with me still.